Having been to both locations (Howling Wolf about 5 times, Comida once), I’m actually quite surprised by your review. Howling Wolf has been nothing but great on each visit and Comida was not nearly as good. I have had the chicken, fish and steak tacos, shrimp quesadilla and chips/salsa at Howling Wolf. All of these were quite as good as any I have had in California or Arizona. At Comida, I had the chicken and steak tacos. The chicken tacos weer better than the steak but still not as good as at Howling Wolf. I will definitely return to both places, though Howling Wolf is closer to my home and given the better fod, I’ll be more likely to eat there. I also couldn’t disagree more on the decor. Howling Wolf is open and airy. Comida funnels people into a corner for ordering and felt quite claustrophobic to me. I completely agree, on both counts. While neither place is horrible, neither is outstanding – they’re both pretty mediocre. I mean, in my opinion, Chipotle (a chain) blows them both out of the water. I probably made a mistake ordering that salad at Comida, but it was truly one of the worst take-out items I’ve had in Salem partially because of the blandness and partially because it skimped on every ingredient besides lettuce. 1) We apologize for the mix-up with the salad– we are no longer carrying the salad on our menu, though we will always do our best to accommodate people looking for a special order. 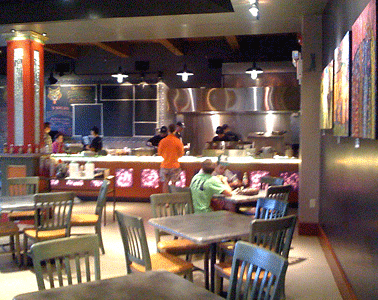 2) At Comida, you can walk down the line and choose whatever you would like to have in your burrito. Most people prefer beans and rice in their burrito, but it is entirely up to you, the customer, as to what you would like, and you are free to customize it as you wish. 3) We have increased the portions of our salsas and guacamole. In conclusion, we thank you for your attention to Comida, and certainly hope to see you in our place in the near future! Spot on review of both places! Neither have it all together and I don’t think they will since both are off the mark with authentic flavors. Tortillas are a big aspect of the burrito and neither are close to fresh. The howling wolf really seemed like an interesting concept with the bar, but not sure it all works. Comida’s staff will hopefully get better, but I’ll leave it at that. 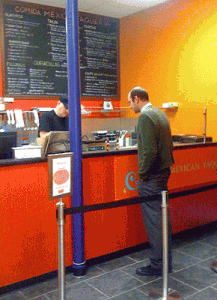 If you want a great burrito travel a little further to downtown lynn to Tacos Lupita, on Munroe street. For a full service meal, they actually just opened a restaurant on the same street. You won’t be disappointed!! Very informative review but not sure I entirely agree with the thumbs down on Comida. I have been by 4 times and the staff have been awesome and very friendly. I grew up in Arizona and the set up is very similar to many of the taqs/cantinas you find there. They keep the menu simple but still allow for a lot of choices. The quality is fresh and it taste great. I’m not surprised to hear that some of you had a similar experience to ours, but I’m glad that some of you had better experiences, as it bodes well for the future. Tacos Lupita is on our list to try, and it sounds like we should stop into Chipotle, even though it’s a chain, just to be well rounded. Renny: Thanks for commenting. You’re correct, the headline is a bit misleading since we did very much enjoy your burritos, and some of the other things we experienced are kinks due to newness, as we acknowledged in the post. Headlines can’t always sum up the subtleties in a post, unfortunately. I’m very glad to hear that you have increased the salsa and guac portions, and you are correct that if we had ordered in the store rather than over the phone, we would have gotten just what we wanted in the burritos. I have been to both a number of times. I like the food at Comida much better than Howling Wolf, although Howling Wolf has been getting better. Beans are now cooked fully and the food is much more tasty than it was. However, they still seem to be in a state of confusion. Lots of turnover with the staff and I’ve never had a meal prepared the same way twice. They still seem to be trying things out. The staff and owner at Comida is MUCH MORE FRIENDLY and accomodating, which to me, makes all the difference in the world. Bottom line is that I am glad to have them both in Salem and I guess they can only get better. I have been to both. I prefer Comidas food and quickness over howling. The problem with howling is the service. Our family will never eat there again because they messed up our order and gave my celiac wife aka gluten free aka NO Flour… flour tortillas. Even though I animately said corn. Also they have no juice for kids and no trays for large orders. Come on simple things. In my book if poison my wife, I can not support your restaurant. I’ve been to both places twice. I haven’t found much use for Howling Wolf. Food completely meh, and a basic chicken burrito with nothing spicy added for some reason was very spicy. I’ve also never gotten my order made completely correctly there, though I think I’ve heard they are now using order slips. I thought the quality of the Comida burritos was higher, and enjoyed the two I’ve had there. I also appreciate that they melt the cheese on the burrito like Anna’s. I was looking forward to the salad from the description, but after your review they pulled it. Agree totally about the size of salsa and quac portions. Comida I still have high hopes for, Wolf, not so much. I haven’t been to Comida yet, but I’ve been to Howling Wolf about 7 times so far since they opened (both alone and with my family), and I’ll say this: the first time I was there the burrito I ordered was tasty but had some dried-out rice. This was the first week they were open. I decided to give them another try, and since then I’ve been quite happy with the food. I’ve sampled almost everything on the menu except the soups. What they bring to the party is good basics, a nice (to me) low-key atmosphere, and quick service. The burrito isn’t the same as what you get from Chipotle, but it’s a pretty good burrito all the same. I like the salsas, and when I had the fish tacos I thought it was a little heavy on the cabbage but otherwise good (you can always pull some off). I think overall Howling Wolf is promising, though it’s still a work in progress in many ways (from ordering to food pickup/delivery, it’s always changing, and the food is still being tweaked). As a concept it has long-term potential as well to develop into a small chain, and that’s where I think the owners would ultimately like to take it. What’s really nice is that Salem has become the kind of town in the last few years that has a niche for places like Howling Wolf and Comida to insert themselves into. As someone who moved here in the Dark Old Days of the early ’90s, it’s nice to see a thriving downtown that attracts this sort of business. I haven’t been to Comida but I also had a bad experience at Howling Wolf. The pork was bone dry and bland and the rice was raw. We told the cook staff and asked for a new one, but they sent it out with raw rice again. The cook said it took half an hour to cook a new batch…. so that makes serving raw rice OK? We asked for our money back, which I never do. I do hope they get their act together, since it’s obvious they put a lot of heart into that place. But I personally won’t be back. To JR and others, I would like to personally respond to your comments and observations as we at The Howling Wolf will always welcome feedback, good and bad, from our guests, as we strive to provide the perfect guest experience in our new taqueria. From the beginning, three months ago to today we have strived to provide authentically prepared Mexican taqueria-style food with a New Mexico inspired flair. We use only fresh ingredients and every item is prepared in-house, from scratch. Our chef, Miguel Velez, hails from Guadalahara, and has worked in a variety of full service Mexican restaurants. We have received for the most part, an overwhelming majority of high praise for our food, sangria, and ambience. However, it pains both Pat & I (and Miguel for that matter) anytime someone has less than a great experience. We make every effort to respond immediately to rectify any complaint or concern. We have addressed our service issue by implimenting a new ordering system and a new point of sale system which makes our delivery so much smoother (we take great pride in having served over 1500 guests Sat, Oct. 30th and Sun. 31st. yes, we have changed staff, but almost 95% of our present employees were hired before we opened. we have made some changes to the dining room and we plan to make more, but I would like to hear more from you, JR, personally. Please feel free to call me anytime….I am especially interested in what you mean by an “industrial feel”. The Howling Wolf design was inspired by Mexican and Native American motifs and executed by artist and designer, John “Jeb” Dubus, from Amesbury. Although we do have an open floor plan, there is nothing industrial about it. 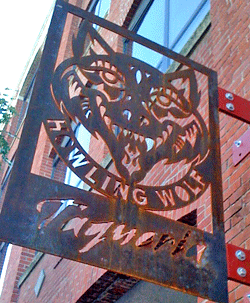 We also have no plans to create a Howling Wolf Taqueria restaurant chain. 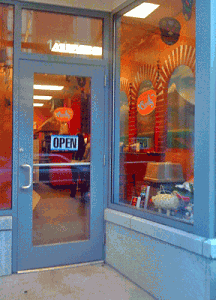 Ours is a family business and our only ambition is to create the best taqueria on the North Shore. Do we have the “best buritto in Beantown?” Answer, “not yet” but we are close…..we have changed our rice, added more flavor to our beans, not compromised on our cuts of meat, perfected and tweaked our sauces and salsas in response to feedback and comments. Again, thank you for your comments and we appreciate your patronage. I look forward to hearing from you and seeing you at the Wolf. Matt, thanks so much for letting us know about your progress at the restaurant. We are glad to hear that you are working out some of the kinks and making the food more flavorful. We certainly plan to return to see for ourselves. Our comment on the interior was not about the decor, per se, but the overall feel of the concrete floors, metallic tables, lighting, and high ceilings. We are not experts in interior design by any means and simply used the word industrial to describe the overall effect, which we did not find particularly welcoming. This is, of course, purely subjective. Several of our readers commented that they liked the look of the space and the open design. We were there at night, and I suspect the space feels quite different during the day. Again, my expertise in this area is non-existent, but perhaps some “softening up” of lighting or table coverings is in order after dark. I agree with this review. Perhaps improvements the next time around for Howling. I think it’s time for another review of Howling Wolf. In my experiences of late, the food has been consistently much better, atmosphere has softened a bit and become more comfortable, and they appear to have hit their stride. I still won’t say “best burrito in Beantown” (And frankly, I don’t need it to be the best, just really good. ), but certainly a good take. Glenn, thanks for commenting. I was interested to see that Howling Wolf was packed when I drove by it recently at dinner time. I think you are corrent–a revisit is in order. We’ll put it on our list! Very unprofessional and poor service. I called and ordered delivery at approximately 7:02pm and spoke to a lady on the phone who took my order and said my food would be here in about 45 min to 1 hour. I waited about 1 hour and 10min later I called around 8:12pm to ask about how much longer my order would take and the lady that answered said it will be another 20 minutes. I then asked her why it is taking more time when I was told it would be an hour max for delivery. She said that more orders came in after mine and they had to be delivered as well. I then asked “don’t they deliver in the order the call is made?” And she said there was only one driver. I then asked for a manager and she put me on hold for a while. About five minutes later the driver showed up, so I hung up the phone while I was still on hold. I asked the driver why it took so long and he said he delivered everyone else’s order first. I became upset hearing this and told him I was going to let the manager know about this experience because it wasn’t right that my order was taken first and delivered last. I called the restaurant back and asked for a manager and a guy came on the phone named Dan was very rude. He didnt let me say anything or explain my issue. He said that the lady that answered the phone prior to him told him everything and he didnt need to hear me since he already knew. He was very unprofessional and spoke to me very disrepectfully. I asked him if he usually treats customers this way and he came back at me with a smart remark saying that I was rude and made the lady who answered the phone before him cry. This made me more frustrated and I just asked for the owners name and number and he then made a smart remark again that I needed to give him my name and phone number, I responded to him saying it was on my reciept. I then continued to ask for the owners name and contact info and he refused to give me the information. He even went as far as hanging up on me. I called back and asked for the owners info and he hung up on me again. This is very very very poor customer service. Very unprofessional for a manager and very disrepectful for customers. I was very disappointed, which is sad because I always order from here and they are always so nice. I emailed the owner about this issue and she basically was rude to me too.